This modern Artistic Weavers Pelotas accent rug will instantly improve any room you place it in. Add this indoor rug to your home for a comfy, yet stylish design option since it is made from plush wool material. This rug is hand-made, which ensures a strong product. Include this trellis patterned blue rug in your living spaces for a high quality and high fashion look. This unique and stylish Artistic Weavers Aliso accent rug will tie any room together in your home. Designed for your hallway, dining room, or living room, this indoor piece made from plush wool material looks and feels great. The hand-made construction of this rug makes it high-quality and durable. Make a bold statement with this animal print patterned blue rug. Pelotas Blue 2 ft. x 3 ft. Indoor Contemporary Rectangular Accent Rug This modern Artistic Weavers Pelotas accent rug will instantly improve any room you place it in. Add this indoor rug to your home for a comfy, yet stylish design option since it is made from plush wool material. This rug is hand-made, which ensures a strong product. 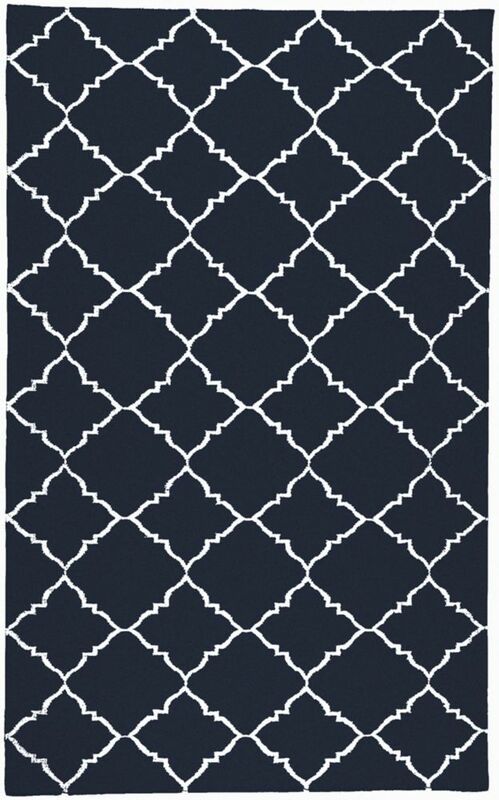 Include this trellis patterned blue rug in your living spaces for a high quality and high fashion look.